In 1932, Green Garden Angus was founded with the purchase of two registered cows from Henry Schroeder of Lorraine, Kansas, with additional purchases from the Parker Parish herd in Raymond, KS. At that time the farm consisted of a wheat, milo, alfalfa and silage farming program along with the care of approximately 30 registered cows. In 1954, the farm grew in acreage as well as in cow numbers with purchases from many local Angus breeders. Now 84 years later, we run 350 mother cows along with our farming program. Our commitment to the cattle industry has changed little in the 84 years we have been in the Angus industry. Our goal is to provide you with problem-free seedstock that will make you the most profit. All bulls selling are free of all known genetic defects and conditions. The use of EPDs has allowed us, as seedstock producers, to make selections that will provide you with a more predictable product. Since 1983, we have been concentrating on stacking pedigrees (breeding “like to like”) to produce a superior calving ease product. In 1989, along with using actual kill data, we had the privilege of being a test herd for John Brethour at the KSU Fort Hays Beef Research center, to help develop ultrasound as a selection tool. Since then we have consistently led the industry with our carcass genetics. We have several long time customers, who retain ownership of their cattle through the feed lot stage. In 2003, we were introduced to a new program called Gene Star. That was the beginning of using DNA as a selection tool at Green Garden. Since then we have expanded to 50Ki profiles on all of our young cattle to aide in the selection process. The newest tool at Green Garden, is our very own GrowSafe® System. We now do feed efficiency testing on all of our young bulls and heifers allowing us to measure their RFI, DMI, Feed to Gain, and Average Daily Gain. We feel very confident that the products we have to offer in our production sale will have the ability to produce a superior carcass value that will add to your bottom line. We endorse the guarantee adopted by the American Angus Association. We wish to add that we are interested in our cattle and desire to help you with any unforeseen problems related to your purchases. If you have any questions please give us a call at 785-472-3752. 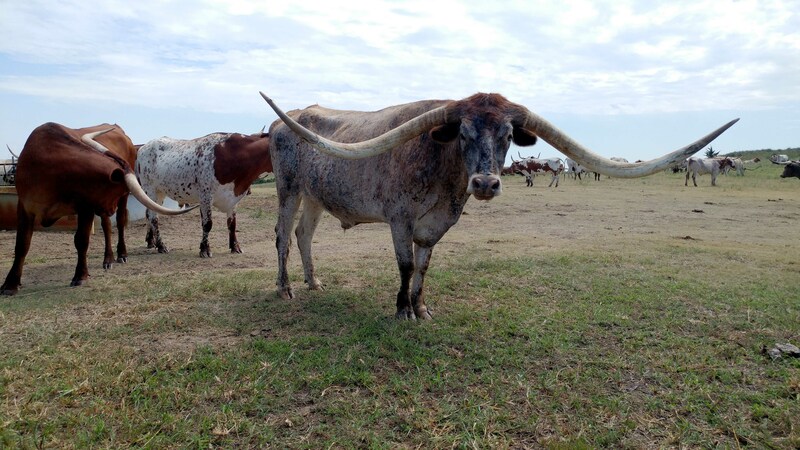 100 Longhorns overnighted at Green Garden on their way to the 150th celebration in Ellsworth this Friday and Saturday! In order to bin online, you must register before March 31.